One Month FREE! The Gardens. 3 bedroom suites. New construction on desirable Larry Uteck Boulevard. 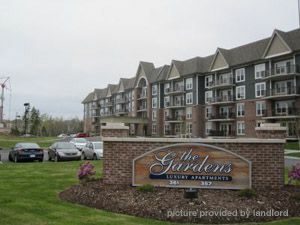 Absolutely gorgeous condo quality apartments for immediate occupancy. Units equipped with fridge, stove, dishwasher, microwave, washer and dryer. Apartment finishes include granite countertops and floor tile, laminate floors in living room, Berber carpet in bedrooms, modern upscale electrical and plumbing fixtures, and glass enclosed balconies. Building is equipped with fitness facility, rentable common room, car wash bay, and out of unit Tenant storage. Underground and surface parking available. Minutes from new shopping centres, French schools, and easy access to highway 102.